Seed saving is an increasingly important need to enable us to have access to the widest range of old traditional open pollinated seed. This is necessary for the continuing of nutritious, hardy plants from which we can save seed of our food heritage vegetables which will grow true to type in the next generation. Truly these are some of the many good reasons to participate in saving for future generations. Rowan is a great example of a seed saver achieving seed saving for distribution to other keen growers of our heirloom varieties. After travelling in country Victoria and South Australia as a part-time seasonal agriculture worker Rowan returned to her home town to assist with the care of family members. 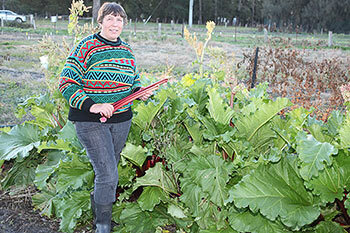 For many years she grew vegetables for resale. As Rowan realised that many vegetable varieties were becoming harder to obtain she switched to seed production. Eden Seeds is a keen supporter of small local seed production and Alf Finch set his aim over 30 years ago to distribute Australia wide to home gardeners through mail order and stores which sell organic fruit and vegetables. This has grown to over 300 outlets mainly organic outlets and small local nurseries plus our internet sales. Alf is now re-invigorating seed saving efforts. 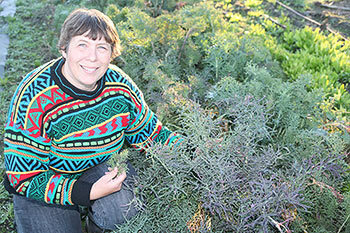 Like Eden Seeds Rowan, and seed savers Australia wide are now finding it a big task to keep up with demand. Every home gardener is encouraged to save one variety for distribution to other home gardeners. Contact Alf Finch at Eden Seeds if you think you can save one variety for distribution and enable the saving of our food heritage for future generations. Our new cool-room and filing system will enable better storage. Small amounts are useful and we can take large quantities also.